NEW ORLEANS – NOPD Fourth District Officer Qiana Lewis collected more than 70 prom dresses for 25 high school senior girls to choose from for their senior prom. After discovering a relative was unable to attend prom because of the price of a gown, Lewis said she had no choice but to do something and try to help high school girls afford to go to prom. Lewis, who is also a member of the Omicron Nu Zeta Chapter of Zeta Phi Beta, reached out to her sorority to help start a slightly used dress drive she called Dresses for Dreams. Lewis then reached out to friends and family and, with the help of her sorority, was able to collect about 70 gowns. Lewis said she wanted to do more than just give each girl a prom dress, so she reached out to the community to help get volunteers to assist with a Glam Day for the seniors before their prom night. “Once the idea was out there, people offered to help,” Lewis said. "The girls came down the runaway, and we did a bio on each of them." NOPD Recruit Shakiyah Huston assisted in styling the girls hair and NOPD Officer Gabriel Favaroth, who is also the President of Joyce McCollum Favaroth Taylor Foundation, gifted each girl with a monetary gift during the Glam Day. "We've received so many praises from students and staff members at the school and others who heard about the dress drive," said Lewis. "Hopefully next year we can grow and help even more students." 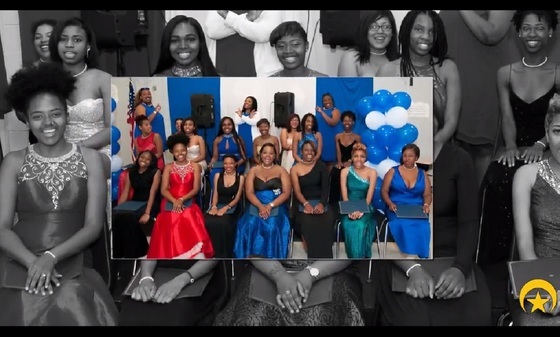 Algiers Charter Technological Academy's senior prom was held on April 22.